It's business as usual at Junior's, a little country roadhouse 10 miles out Miss. 4 near Holly Springs. As Sunday afternoon turns to evening, a few old men sit inside, nursing their Budweisers and comparing various ailments; out in the parking lot, young men drink malt liquor and discuss cars and girls. But as the sun sets over the dusty, kudzu-covered countryside, talk turns to the blues, and the action moves inside as the proprietor rises out of his duct tape-covered chair and haltingly makes his way across the cement floor to the band area. 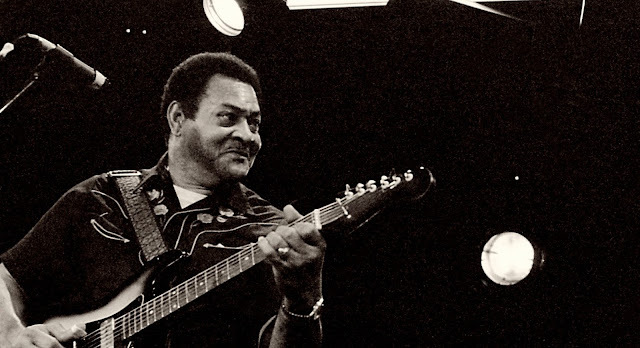 The jukebox, which has spent the afternoon pouring hard blues and Southern soul out of its shredded speaker, is silenced, and Junior Kimbrough, 64, picks up his Gibson electric guitar and tunes it to his liking. Two of his sons, David Jr. and Kenny, both in their 20s, dutifully take their places at the bass and drums. At Junior's there's no such thing as a blues revival. Here, the blues is alive and well and being passed on to a new generation. At 29, David says he's the oldest of Junior's numerous children, many of whom play with their own blues bands or back up their father, who has become something of an international celebrity thanks to his appearance in the Robert Palmer/ Robert Mugge film, Deep Blues. Despite its unprepossessing appearance, Junior's has become an important stop on the worldwide blues circuit, as fans come from as far away as Japan and England to pay their $2 cover charge and get a dose of the real thing. A recent Sunday night even brought a group of Russian blues lovers to the wood-paneled juke joint lit up by Chinese lanterns, Christmas lights and its namesake's powerful Delta blues. A stroke in 1976 may have slowed him down, but the popularity of Deep Blues has kept him on the road, playing concerts and festivals throughout the States and Europe. And when he gets going, his hands moving over his guitar strings as he plays the hypnotic, single-chord style of blues that has become his trademark, there's no stopping him. ``Pull your clothes off baby,'' Kimbrough jauntily shouts into the microphone, a cigarette dangling beneath the remnants of his pencil mustache. At his side, David and Kenny pick up the repetitive riff, driving it home as the growing crowd, mostly locals in their 20s and 30, pack the dance floor in front of the band. "It's a family thing,'' says Kimbrough's son Larry Washington, who runs the club. ``We're all like one big family.'' 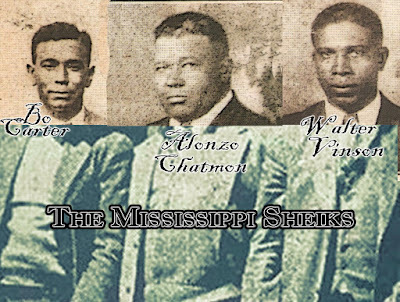 The extended family includes the Burnsides, the children of Kimbrough's Deep Blues co-star R. L. Burnside. Gary Burnside, 17, plays with both his father and Kimbrough. "I like rap, but I'm mostly into blues,'' he says with a grin. "I just like playing it. I've been overseas to Italy and everything.'' He also plays with a band that includes John `JoJo' Hermann, keyboardist for the rock band Widespread Panic, when Hermann is off the road and at home in nearby Oxford. 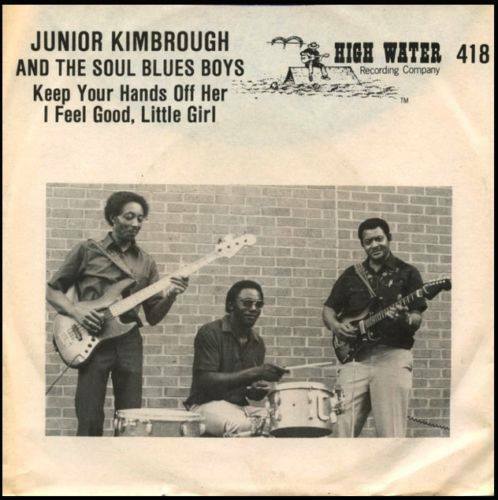 When not playing bass with his father, David Kimbrough Jr. can be found fronting his own group as David Malone, so as not to be confused with the better-known Junior. Kimbrough/Malone has lived the classic Mississippi bluesman's life, having spent seven years in Parchman Farm State Prison on burglary and drug charges. But he says music has helped him straighten out his life. He has recorded ``I've Got the Dog in Me,'' an album he says his father's record company, Fat Possum, is shopping to the major labels. 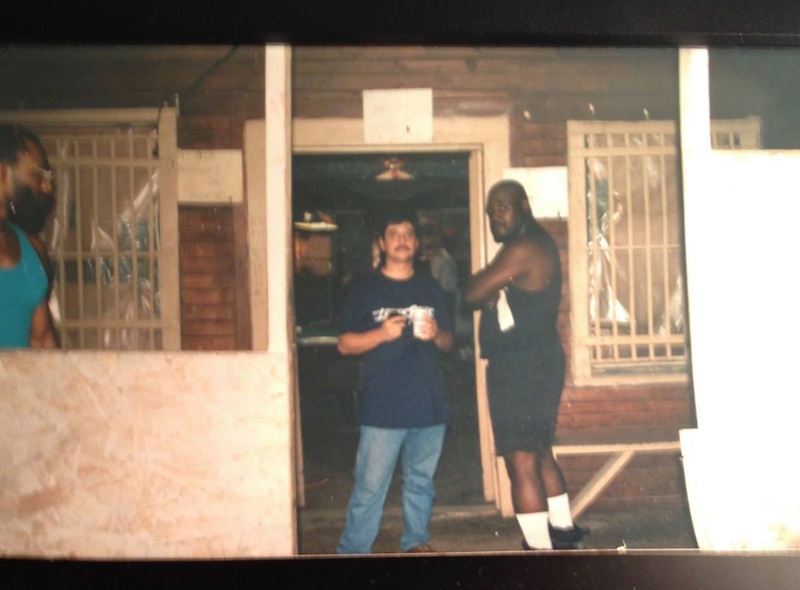 known photo before his murder, contracted by the Dixie Mafia. He's proud to carry on his father's tradition. ``I respect my dad,'' he said solemnly. ``He de man. But I'm the son. And carry it on they do. As the night wears on and Junior gets tired, he passes his guitar to Duwayne Burnside, while a young white guitarist sporting a shiny new Stratocaster slides in to play rhythm. David Jr. anchors the band on bass as Duwayne plays in a single-string style more modern than Junior's. But the sound is still pure Delta, and the churning, dancing crowd keeps right on moving as the blues continue rolling out into the Mississippi night. Getting There: Junior's is open on Sunday nights only and the music starts around 9 p.m. From Memphis, take U.S. 78 to the Miss. 7 exit in Holly Springs. Take a right and follow 7 to Miss. 4. Take a right and go 10.2 miles on 4, and you'll see Junior's just off the road on the right. There's no sign, but the parking lot should be full of cars. Spent a few great nights at Junior's and yes... R L sat in numerous times.. haven't heard from Larry Nager in many years! I have a picture or two if i can post it .. .